Christian Mindfulness was founded by myself, Richard H H Johnston but born out of over 20 years of mindfulness, meditation and contemplative practice. 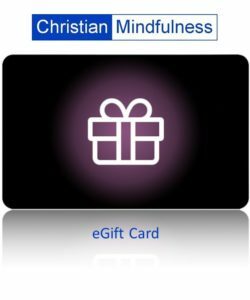 The unique services I provide offer Christian Mindfulness, Christian Contemplation and Christian CBT materials in several formats - Online Courses, Accredited Certificate, Day Workshops, Retreats and Eight Session On Site Courses. 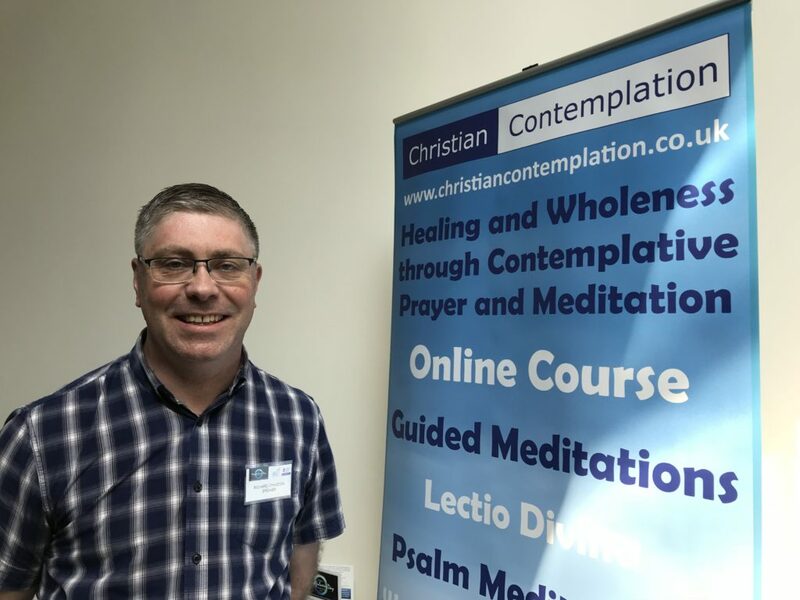 There are also Free Introductory Online Sessions available through this website for both Christian Mindfulness and Christian Contemplation. The materials integrate biblical theology, contemplative practices and the latest findings of science in the areas of mindfulness, meditation and CBT. Richard is a Missionary Associate of Globe UK and one of the founding Leaders of the UK National Mindfulness Day for Christians. He has completed the UK Mindfulness Association Practitioner Certificate and Mindfulness Association Foundation Course. He has a Living Life to the Full CBT Practitioner Certificate with Five Areas and a BA (Honours) degree specializing in Marketing and Economics. For 18 years I was a member at Gerrard Street Baptist Church in Aberdeen, Scotland, before getting married to Vivienne and moving south to Fife where I currently attend Liberty Church in Dunfermline. Over the years I have preached in almost all of the main church denominations and value the variety of perspectives and traditions expressed by the broader church family. Christian Mindfulness has featured in Christianity Magazine, BBC Radio Scotland (see here), Premier Christian Radio, the Church of England Newspaper, Mind & Soul website and Turning the Page (New Zealand). I have spoken at the UK Association of Christian Counsellors Biannual Conference and New Wine Scotland (CLAN Gathering). I currently travel the UK speaking at workshops on Christian Mindfulness, Christian Contemplation and Christian CBT. To contact me directly regarding workshops or speaking engagements please click here. I was introduced to mindfulness in mid 2013 while working for Professor Chris Williams of Glasgow University. Contemplative and meditative practices have long been part of my daily life. By nature I am a more reflective and meditative type. While I would never say meditation comes easy it has certainly been a passion of mine for over 20 years. As a young single man I had a summer shed in my back garden in Aberdeen. For hours I would sit in silence waiting, abiding and dwelling in the Presence. The peace and stillness of coming to God in silence is often like a soothing balm to the soul, shifting our focus away from turmoil and unhelpful rumination. I gradually turned towards God’s promise and invitation to find a place of rest in Him (Ps. 62). This practice of centring down and gathering ourselves together into a place of focus is central to what many are now describing as mindfulness. The growth in secular research in the field of mindfulness is now increasing exponentially. It may not be a panacea but mindfulness and meditation are now recommended treatments by the UK National Institute for Clinical Excellence for Low Mood, Depression, Anxiety, Stress, Pain Management, Resilience Training and several other areas. Many major corporations agree and are implementing mindfulness training programmes – including Apple and Google. A secular approach to mindfulness avoids any reference to religion per se but still enjoys many of the physical and mental health related benefits. Through cultivating awareness of body and breath scientific research has shown that it is possible to literally re-wire the brain. Self-awareness of thoughts and feelings provides space for us to respond and not react to the challenges of life. This can help with wiser decision making and emotional stability. In the light of these developments can the Christian community be brave enough to engage with and contribute to this discussion? For me the answer has to be a resounding yes. For centuries Christians have explored Prayer, Meditation and Contemplative Practices. I love Christian theology and the study of God and have read thousands of books. But there comes a point when simply thinking about God in a logical way is not enough. On this point the Bible offers much supporting narrative and is full of stories of epiphany and encounter. Christian Prayer, Meditation and Contemplation provide us with a ‘means of grace’, a way of engaging heart to Heart. We have such a rich heritage in this area which has been neglected by large swathes of the church. We have been too afraid of using the M word for fear that we will somehow automatically open ourselves to a form of spirituality that is out of sync with a biblical approach. But what if it was possible to be thoroughly biblical and at the same time tap into a rich mine of spiritual gold through prayer, meditation and mindfulness? One of the first stumbling blocks for Christians to overcome in relation to mindfulness practices is the issue of self-awareness. The neglect of self and self-awareness is not a Christian virtue as some may suppose. The founding father of the reformation movement, John Calvin, was very much aware of the value of self-awareness. In his Institutes of Christian Religion he goes as far to say that "the knowledge of God and that of ourselves are connected. Without knowledge of self there is no knowledge of God. Without knowledge of God there is no knowledge of self“. According to Calvin self-awareness is not to be shied away from but faced together with the knowledge of God. Sacrificial giving of self should not be about offering ourselves on the altar of the churches expediency. But we have had so little clear teaching on how to relate well to self. There can often be an underlying double-mindedness that welcomes self-acceptance in one breath (“I am a child of God”) but accepts self-loathing in the next (“I am a wretched sinner”). The vacuum created by this unhelpful approach has rapidly been filled with self-compassion teachings in connection with mindfulness. And much of this approach can be beneficial. How can Christians re-connect with kindness and gentleness towards self? How can we avoid the folly of trying to self-atone? Grace invites our hearts to a better place where we hear the words of Christ – “It is finished”. The Cross of Christ opens a doorway to self-acceptance without having to ignore the problem of evil. And from a place of kindness towards self we can be empowered to love and serve others more effectively. Mindfulness teachings identify the “inner critic” as a primary contributor to unnecessary suffering. By observing our initial self-critical thoughts we can watch them come and go. At the point of awareness we have what is described as a “moment of choice”. A specifically Christian approach can combine mindfulness with metanoia [change of mind]. We can choose a better and kinder thought towards self. According to Symington & Symington a Christian working definition of mindfulness includes “....the process of keeping one’s mind in the present moment, while staying non-judgementally detached from potentially destructive thoughts and feelings”. So the Christian is not seeking to be detached from all thoughts and feelings in order to escape the illusion of self. The intention of Christian mindfulness is to cultivate a renewed mind. We affirm the reality of the self as made in the image of God and also the reality of suffering in a fallen world.